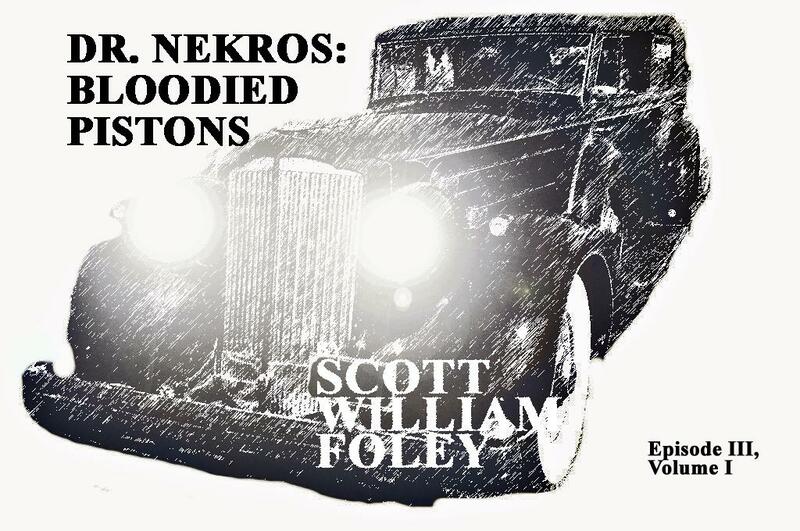 Episode III of my Dr. Nekros serial will be out soon through the Amazon Kindle. It’s entitled “Bloodied Pistons” and offers some revelations as to how Nekros’ Packard came to be haunted. In the meantime, here’s a preview of the cover! This entry was posted in Author News and tagged amazon kindle, bloodied pistons, Dr. Nekros, fiction, horror, serials, Short Stories, stories under a dollar, super natural story.